It’s common sense to back up your data. There are several options at your disposal for such a task. Depending on your operating system you may have a backup program already installed on your device with simple settings. We constantly preach the fact that backing up your hard drive is simply the best way to avoid any kind of hard drive failure situation. As you probably already know, professional clean room data recovery is expensive, and avoiding this expense really may only involve purchasing a new drive now and keeping it continually backed up. Whether you’re replacing an old hard disk drive with a faster solid state drive or you’re simply upgrading to something with more capacity, you’ll want to copy your data from the old drive to the new one. There are two methods — booting from a backup and rescue media or cloning your hard drive. Below, learn how to create the backup and rescue media, boot from the backup or, alternatively clone your drive. Before you take out your old HDD or SSD, you need to find a way to put Windows, your applications and files on the new drive. In order to transfer your data, you need to create a backup file on an external hard drive. Any USB hard drive should handle it. In these steps, we’ll show you how to make a backup and rescue media before you break out your tools. We’ll be using free software called Macrium Reflect. If you don’t want the hassle of using external hard drives and rescue media, you can use a hard drive caddy with a USB connection to clone your old drive to your new one. Your new SSD or other drive will be ready to go as soon as it’s placed into your laptop. We’ll use Macrium Reflect for this, too. The guide we referenced is very simple to use and includes pictures so you can ensure you’re following the steps properly. Cloning your information isn’t as difficult as it seems and doesn’t involve scientific knowledge. You aren’t cloning sheep, after all. 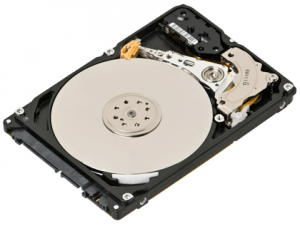 It’s clear that cloning your hard drive is the simplest way to recover your data. It reduces the need to have an external hard drive which can take up precious real estate on your desk or elsewhere in your office. By using free software you’re also eliminating the costs you may incur by registering with a cloud server like Dropbox. This is important if you’re starting a small business or trying to reduce costs in an existing venture. If you follow the steps in the guide you’ll find that even an average person without special training is able to properly back up and recover their data thanks to the steps and photos supplied.